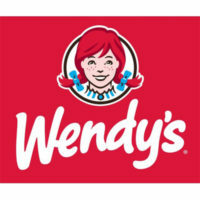 Wendy’s first restaurant was opened in 1969 by founder by Dave Thomas in Columbus, Ohio. Over the past four decades the company has grown to more than 6,500 independent franchise and Company owned restaurants. These restaurants are located in the United States, U.S. territories and 29 countries worldwide. The company is publically traded and on the NASDAQ. Wendy’s is headquartered in Dublin, Ohio and a large part of the company’s mission is to continually provide support to adoption organizations. In 2012, the company began a rebranding transformation to update and improve customer service, redesign current restaurants, modernize marketing including the logo, and to rejuvenate its food products. Respect for teammates and customers, profitable growth, honest food and giving back to the community are common beliefs held by Wendy’s employees. The company has always striven to diversify its menu by adding items such as salad bars, baked potatoes, chicken sandwiches, kid’s choices, and salads to go. Wendy’s welcomes all interested potential franchise owners and prospective employees to use their direct application and inquire about opportunities using their website. The company employs close to 37,000 people worldwide and Wendy’s is the third largest fast food restaurant chain in the world. Wendy’s free application can be found at the application link at the bottom. Wendy’s jobs range from crew member at the restaurant to financial analyst in their corporate office. As a crew member you will be working directly with customers and the positions require little work experience. In the corporate and managerial positions you need more work experience within the given line of work. Positions are available at all levels, all across the country. Apply for jobs or search for positions in your local area by going to the company website. You can search for the position you are seeking, find the hours that work for your schedule and submit your Wendy’s application. Most applications will receive a confirming email or phone call for potential candidates in order to set up an interview. How old do you have to be to work at Wendy’s? Each state has its own laws regarding age requirements for employment and each individual franchise may have its own policy regarding age, however in most states individuals can apply as young as 14 years old. You may be required to show a work permit if you are a student. Restaurants will be able to give you specifics on age. Wendy’s careers have benefits included in your employment package may include and are not limited to comprehensive health insurance, a company matching 401K retirement plan, life insurance, employee assistance, adoption assistance, employee meal discounts, paid vacation among others benefits. Most advancement comes from within as the company seeks to promote current employees. Wendy’s jobs offer various hours and flexible shifts at its multiple locations. Crew Member – This is an entry level position. Applicants are not expected to have much industry work experience. In this job you will welcome guests, make and serve food, work with a team, and use equipment. You will be expected to be able to multi-task and learn new things. Hiring managers will look for people who take initiative, have integrity and strive for customer satisfaction. These positions usually start at minimum wage. Shift Manager – As a shift manager you will be expected to lead and inspire crew members. Guest satisfaction will be ensured by you and your direction of the crew. Creating a welcoming atmosphere, learning and applying new management techniques and overseeing all operations on your shift are required skills for this position. With added responsibilities, managers often make a few more dollars an hour than crew members. General Manager – Restaurants will have specific hiring requirements for this position. Most will include a college degree and experience as a manager. General managers are responsible for scheduling, training, maintaining compliance standards, and overall operations of the restaurant. Potential employees for this job must be able to work flexible hours to include nights, weekends and holidays if needed. There is potential to make between $45,000 and $48,000 yearly in salary. Corporate and Field Support – Corporate positions are wide ranging and usually require a college degree in a related field, experience in the position and a resume. Jobs in corporate and field support are, but not limited to Associate Manager, Senior Manager, Designer, Internal Auditor, Quality Assurance Manager, Facilities Technician, Accountant, Financial Analyst, Application Developer and many more. Most positions at this level are paid a yearly salary upwards of $50,000. Once you have submitted your online application and have an interview, here are some potential questions you may be asked. Share with us your experience and how it will help you here? Share about yourself and how the things you’ve learned in life help you make decisions. It’s ok if you don’t have work experience, you can pull in things you have done like playing on a sports team, babysitting, volunteering, or helping a neighbor. Have you ever had a conflict and what did you do to resolve it? In this question, they are looking for how you solve problems. Try and use a real life experience where you were able to resolve a problem fairly. It’s ok to share about a personal issue you’ve had if you don’t have one from a work experience. Why have you applied to work at here? Show that you’ve done your homework and know the job description. Have you chosen Wendy’s based on the competitive pay, benefits, hours or other reasons? Tell them you are looking for a job in which you feel good and will in turn be a great employee. When are you available to work? Be honest about when you can and can’t work. If you are in school, make sure you share when you are unable to come to work. There is nothing worse than having to tell your new manager that you can’t work once you get on the schedule. For managerial, corporate or field positions, you may get questions like: “What background and skills do you possess to lead employees?” Reflect on your previous experience and bring in an example of when you may have had to work toward consensus with employees. Highlight your related experience so they know you are qualified for the job. Apply for Wendy’s jobs online through their Careers website and complete the job application online. How to apply for Wendy’s online is simple. Search for job opportunities you want in a location close to you. You will be asked for an email address and Snagajob account. If you don’t have one, you can sign up for the accounts right from the same page. The online Wendy’s application will take 20-30 minutes to complete. Take your time and be thoughtful in your answers. This is your first impression to a potential employer so you want to make sure everything is filled out correctly, you’ve spelled words right and you are promoting yourself the best way possible. Once you apply online or on the printable application form for Wendy’s, you will be notified if you are a potential candidate. You will be asked to come interview. Be pleasant and cheerful when responding to show your potential employer that you are willing, eager and excited about working for them. Arrive a little bit early for the interview to show that you are conscientious about being on time. Dress nicely in clothes that fit, do not have slogans or sayings on them, and act like you are serious about being hired. As a crew member, your dress may be more casual but for a manager or corporate position, professional attire should be worn. Do your best to relax, think about the questions and answer them as completely as you can in the interview. Be honest if you don’t know something but follow up with your commitment to learn skills necessary to be successful in the job. Always smile, be polite and thank the interviewer for his/her time. That smile just might start your career!